Our Services and Our Commitment to You. ​Mountain Home Veterinary Hospital is a full service, AAHA accredited facility, offering quality medical, surgical, and dental care. The staff at Mountain Home Veterinary are constantly involved in continuing education, making every effort to provide the best and most up to date medical care available. Our hospital is fully equipped with state of the art technology, ready to make a full diagnosis as quickly as possible. Our healthcare team is committed to serving you, and sincerely values your trust & confidence. 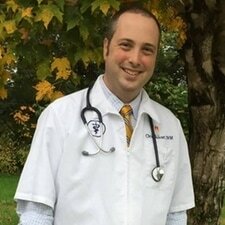 Dr. Chris Buckner earned his Bachelor of Biological Sciences from Vanderbilt University in 2005. He then went on and earned his Doctor of Veterinary Medicine from the University of Tennessee in 2009. In May of 2009 he joined the staff at Mountain Home Veterinary Hospital. In his free time, Dr. Buckner enjoys time spent with his wife and daughters, He is an avid Smoky Mountain backpacker and enjoys SCUBA at the aquarium. He is a member of the Rotary Club of Gatlinburg, a Gideon, a Scoutmaster/ Crew leader for Troop III, and is College Ministry Leader & Drama Director at Richardson's Cove Baptist Church. Dr. Wayne Lilly is a 1988 graduate of the University of Tennessee, earning his Doctor of Veterinary Medicine degree. He was an Animal of Science major at UT and also attended the Volunteer State Community College. Dr. Lilly has been an integrel part of Mountain Home Veterinary Hospital since joining our staff in 1998. He & his wife enjoy spending time with their two daughters and grandchildren. 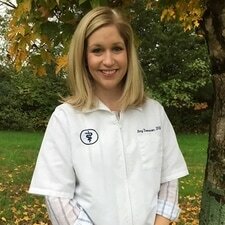 Dr. Amy Thomason joined the staff of Mountain Home Veterinary Hospital in May of 2002. Dr. Thomason received her Bachelor of Arts degree from Maryville College. She earned her Doctor of Veterinary Medicine degree from the University of Tennessee in 2002. In her free time, Dr. Thomason enjoys spending time with her son and daughter.